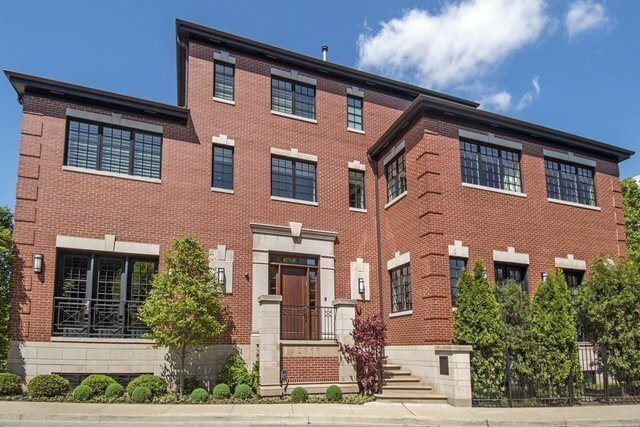 Featured in Crain's, this remarkable 6,500 sqft single family home is ideally located in a quiet pocket of Lakeview, a block from Lincoln Park. The neighborhood has a suburban feel with wide tree-lined streets, masonry homes and no alleys. With minimal traffic and Chi Che Wang Park, it is a perfect place to live and raise a family! Completely renovated in 2011, this home offers high-end transitional finishes including wide plank floors, custom millwork, and designer window treatments. It is on an oversized lot (nearly a double) and a marvelous landscaped, fenced yard with a wall of flowering pear trees. The versatile main level was designed for entertaining and family living. The highly functional eat-in kitchen is open to the breakfast/family room. There are 5 upstairs bedrooms and 4 full baths including an opulent 1,100 sqft master ste. Amenities include a Crestron home automation system, ample storage, an irrigation system, and an attached 750 sqft gar w/mudroom & heated driveway.